Emotional Rescue made its Phish debut at this show and included a San-Ho-Zay tease from Trey. Rescue was subsequently quoted at the end of Melt and Lawn Boy. This humorous Lawn Boy featured an “anti-drum solo” - an intentionally boring one. The first set ended with the delay loop ending of Caspian played until after lights were brought back up. Trey teased Yours Is No Disgrace and Call to the Post prior to Guyute. This show was released as part of the Hampton/Winston-Salem '97 box set. I'm an unapologetic Fall '97 booster, fanboy, partisan, evangelist, and myopic egotist -- i.e. I insist that Fall '97 is the best of all Phish tours, partly because it's my favourite...though I also insist that it's my favourite because it's the best (see above re: 'myopia' and 'egotism'). But some things are worth going crazy over. The fandom responded ecstatically to the tour at the time, as you'd expect; among other things it represented a sea change in how the band approached show structure (never mind the pornographic music itself) -- some folks were convinced that 'there [were] no first sets anymore,' and given that this show kicks off with a 20-minute funk workout, it's easy to see why. Time has been kind to the tour as well. 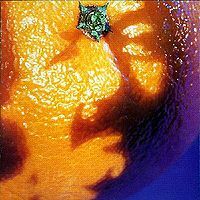 With the benefit of hindsight we can see how Fall '97 began a darkly generative period for the band (their imaginative freedom nightblooming even as their technical command and professionalism began to falter amidst a rapidly decaying backstage/fan scene), while representing a historic peak of possibility and intensity. With only a couple of exceptions, the band was just absolutely *there* every single night, taking song after song to deep dangerous places. It was a good time to be a Phish fan. The best jams of 2011 -- R'n'R at the Gorge, the Tahoe Light, the brilliant 'elements' set at UIC -- seemed to draw some of the same dark energy that powered Phish's late 90s music: layered textures, intricate polyrhythms, effortless group interplay, soaring ambient passages, guitars put to unholy new uses, keyboards much abused, drums caressed and then shattered. Above all, the music flows now almost as it did then, with extraordinary patience and organic inevitability. To the matter at hand. Emotional Rescue isn't a great choice of cover beyond its novelty/comedy value -- the jokey falsetto and sparse texture wear thin some time before the jam starts -- and the jam does feel like a show-opening warmup, which of course it is. But 17 minutes of shambolic Phish funk (climaxing in a transitional few minutes of lovely dark ambience) is a fine easygoing thing, regardless. And it leads into a very nice Split, for which we supplicants are naturally thankful. 2. ...helpfully signals to the crowd that we are setting our course for darker night in Set II. The show's back half kicks off seven consecutive must-hear sets (next breather: 11/28 I). During Ghost the players bail on that song's basic funk patterns in favour of a haunting spare passage typical of Fall '97: minimalist assembly, assured group rhythm work, and a patient crescendo and sighing wavebreak into a wry, spry midtempo jog at the outro. 1997 is THE year for Ghost, but this performance trades its standard snap/pop/wah funk for something moodier and more meaningful. Then yeah, a true segue arrow before AC/DC Bag, and *get ready* for this Bag. Less decisive and authoritative than the canonical 12/30/97 version, but also less linear, the 11/21 Bag takes a few minutes for somewhat clumsy I-IV thrashing (a climax too early, it seems) before settling into a deadly take on the introductory PYITE groove. Fishman slides over to the ride cymbal, Page leaps onto piano, Trey sprinkles some space-jam fairy dust over everyone, and suddenly we're working a slightly ambivalent variation on that I-IV, posing as Triumph while whispering Collapse, Dissolve...and after a twinkling ambient passage, we return to ambivalence: minor-melancholy rock clatter and swerve, Page's piano diagonals zagging at everyone else's zig, or I guess vice versa. 25 minutes of top-shelf Phish, and another true segue into Slave. Slave, as you'd expect after the foregoing 50 minutes of music, is devastating. Well, it's a 1997 Slave; the mycological languour of late-90s Phish was well suited to tunes like this one. More Stones to close, of course. They've always killed on Loving Cup. And is there a better, more coherent long-form composition in Phish's catalogue than Guyute? Pure prog mayhem in the encore. Nice. Ego-costumes aside, in the end it doesn't matter whether Fall '97 is the 'best' Phish tour. (One hopes the best is yet to come, right? What kind of person *doesn't* hold that hope, or pretends not to?) Those are fun arguments to have, but it's all just circles around imaginary selves, signs that read No Trespass: there's no place for borders like those when the music begins. 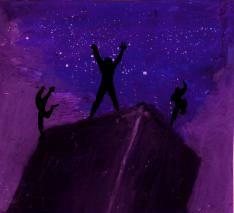 I'll say instead, quite confidently, that on these nights 14 years ago, Phish reached the windblown jagged top of one peak, bringing thousands along with them; several other peaks would follow, as several had come before, but this one had a Weird light, and everyone why got up there saw something extraordinary. And would you believe it: it's still there. Might I recommend heading up alone some night. Go on: follow the strange glow that won't fade. The dark will keep you warm. this show is a real gem. the next night has the legendary set list with some monumental jams, but this one is almost equally as hot. they come out of the gates setting the pace for the rest of the weekend. i'm not a big stones fan, but i do like this unusual ditty. phish made this one their own. they took this for an exciting '97 phish ride. the whole band is in sync as they go on a 20 minute exploration. split open and melt follows. it is not legendary but it has a really nice improvisational segment. it certainly keeps the weird, experimental vibe going. beauty of my dreams is a pleasant shift as they drop this lovely bluegrass jam on the crowd. dogs stole and punch were both good but straight forward. then they play quite the humorous lawnboy. after introducing fish, he played his "anti drum solo." gotta hear it to get it. the rest of this set is some what unexciting. then there is a very crazy second set. there were many fine ghosts in '97 but this is one of the best. they take this one for a mighty fine funky ride. like many versions in this year, page and trey are so in sync playing over a super tight gordo/fish groove. eventually this finds its way into a very experimental ac/dc bag. there are many songs that you hear about from '97, ghost, wolfman's, etc, but bag may have been one of the unsung heroes. this song was always a classic, but they really started to experiment with it. in fact, this was the first version that they really took for a ride. this was the precursor to the shorter but super fun dayton version and the similar take from msg on the ny's run. the msg version seemed to meld the hampton and dayton versions. as for me, i think i may like this one best. it is just straigh improvisation. there are some nice funky spacey segments. eventually, they drift into a beautiful slave to the traffic light. page really lights this one up. i'm not much for loving cup, but it works well, especially since they opened the show with a stones tune. then there is another great '97 song springing up in the encore slot, a nice focused guyute. the whole band buries this one. there are so many nice shows on this tour, so it can be easy to miss this one. either way, go ahead and get both nights of hampton, and grab the next show too...that gin might be better than anything at either hampton show. I love waxbanks' review of this show, but I must offer a dissenting opinion of the Emotional Rescue opener. Kicking off a two-night stand at a venue like Hampton Coleseum with a debut cover, and then extending it out past 16 minutes, indicates that this band was (justifiably) oozing with confidence in their own abilities. Maybe the NYE version was better, but the fact that they went ahead and did it on this night counts for something in my book. Anyway, although this show may not be as altogether superlative as its companions in the must-own boxed set, I could not deny the excellence of the overall performances and worthiness of a five-star rating. WOW.... Had tickets to the next night but drove from Florida to see my only "northern" shows ever. Myself and 2 other friends made it in time for the first night but had no tickets. We parked in the mothership parking lot and figured someone was selling tickets somewhere..... I got out of the truck, looked at the ground, and picked up a ticket! MIRACLE.... My 2 other friends bought tickets at face value and we made it inside during the emotional jam. Amazing how it all worked out. We were inside 15 minutes after parking. 1st set highlights.... Of course the Stones song but SOAM was great. Lawn boy was funny. Caspian was awesome. Trey's loops kept going until the lights went on. 2nd set. Jammed out everything. awesome Ghost>AC/DC transition. We were up front for this and loved it. The encore was perfect and we new the next night was gonna be on fire. I don't have much to add to thoughtful reviews above. However, I'd like to make a case for all phans to give multiple listens to the Emotional Rescue > SOAM which opened the first set. From roughly 12:00 onward, this Rescue covers some delightfully dark territory, and the SOAM (particularly at about 6:30) highlights the band's ability to effortlessly 'lock in' with one another in the midst of each member blazing their own path. Moreover, I find this SOAM to be more aurally pleasing than, say, the Niagara '95 Melt--a take that many fans love for its 'demented', knotty essence. Is this Melt arguably 'Type I'? Yes, but it'll bite your face off. I won't weigh in on which show is the 'best' of the 11/21-11/23 run, I'll simply conclude by positing that if you want to hear Phish shred like maniacs in the era of '97 funk, this Melt's for you. Last on my little box set review kick...the legendary Hampton/Winston-Salem run. I've spun these discs over and over, all classics. Hard to pick a favorite as they are all fantastic. Emotional Rescue to open is an amazing choice, but quickly moves beyond novelty into a nice funky '97 workout. 17 minutes of straight up awesome. That's how you open a set! Split Open and Melt is awesome in the two spot. This is a fine version indeed. Mega jamming. What a 1-2 punch. *If you only want to listen to the first two tunes of this set I'd forgive you, but you might as well listen to the whole set! Beauty of My Dreams doesn't pop up to often, so it's a nice one here. Dogs Stole Things is kind of funny, for whatever reason I always liked it, ever since spinning the Virginia beach opening summer 97 show when Trey has the funny little explanation about pets stealing your soul. "Obviously by the way he's playing they didn't steal Fishman's soul"
Punch You In the Eye is a great song. Nice placement. -> Lawn Boy give Page the floor. Chalkdust Torture felt a little soppy, in kind of a good way. Not super notable, but good energy following Lawn Boy. Prince Caspian isn't usually something worth checking out, but this one is sweet with a nice DDL Jam following the song. Pretty darn cool! Overall a pretty good set, definitely the first two songs are worth listening to. Set II is a personal favorite, but I'll try and keep it objective. Ghost opens up - and this one is pretty different from the typical funkified versions. It's kind of slower and less straightforward. I really like it, but I could see someone not thinking of it as a great version if you are looking for the hose jam or the wah wah funk dance grooves. I find this version both notable and enjoyable despite it not fitting the standard Ghost trope. Great segue in the end -> Bag as well! ACDC Bag is the shows showpiece. 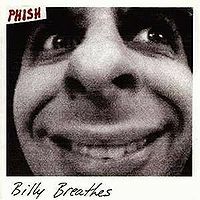 It's personally my favorite version of all time - go ahead give me grief 12/30/97 (and Boise Bag lovers). It's nice and peppy after the segue and then Trey kind of hammers along on a chord for a bit as the band begins to look for some ideas. They find some incredible passages, one with a beautiful spacey and serene jazzy section and another with requisite building shredding atmospheric peak. It's kind of all over the place (in a GREST way) exploring lots are different tangents. It sounds very organic, which to me makes it very magical. Go grab this one - it's about 25 minutes of awesome! Another stupendous -> Slave as well. Slave to the Traffic Light is tremendous. I think one reviewer said devastating and it's apt. There's a slow churning build with the whole band showing delicate patience and eventually they reach a wonderful trilling climax and release. The whole sequence from Ghost->Bag->Slave is top shelf. Throw in a fun and rocking Loving Cup to complete a four song set and we are talking about one heck of a show people! 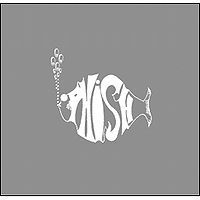 They encore with Guyute, which I find to be a fantastic call - as the composition side of things is probably the only aspect of Phish missing from the show. This is great if not perfectly played. Overall easy 5/5 - classic show. Set II is a personal favorite, and I probably rate the Bag higher than most, but it's certainly worthy of its reputation. Go Get It. I'm reviewing this show based upon the recording from the Hampton/Winston-Salem '97 box set; I was not in attendance. Emotional Rescue is a Phish debut here and is funked mightily, in a manner that might appease both George Clinton *and* the Rolling Stones, an interesting parallel that I won't elaborate on but which certainly provides food for thought. I love the contrast between Mike's falsetto and his baritone. I'm not particularly fond of the sustained "Ffff-" from 5:00 to 5:03, but Mike's just being Mike, and if he ever met me, he might find some of my embellishments a bit *ahem* pretentious, as well. 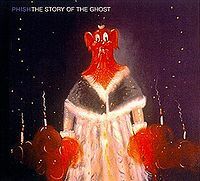 For the next 13 minutes or so, Phish proceed to go entirely a camera, with the carnivalesque, not-quite-noodly leads from Trey dancing across the rhythm section before a > into SOAM. Split is delightfully dark and dank. Emotional Rescue is briefly "reprised" before the closing phrase. Beauty of My Dreams is a lovely song, one I wish would be played more often in these heady days of 3.0. Punch You in the Eye is rendered as capably and expertly as it might have been in earlier times, with the added benefit of the extended palm-mute funk intro. 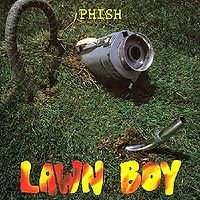 There is an actual -> into Lawn Boy (tempo-changing segues are one of this phan's favorite varieties of segue.) Chalkdust features some phun interplay and is in some ways reminiscent of early versions, at least with regards to energy. Caspian is notable for ending with the Digital Delay Loop Jam. Ghost is given a more expansive reading here than the legendary version from 11/17/97, in the sense of leaving more open space in the jam, which concludes with an abrupt shift into AC/DC Bag but which could've resolved into Cities or even Weekapaug, in my opinion. Phish could simply do no wrong this tour. AC/DC Bag is one of the huge versions, 25 minutes that veer from laser-guided funk to freakout-style, coliseum-filling heroics, finally concluding with a melodic but queerly disorientating segue into Slave to cap it off. Slave is not a particular favorite among favorites of mine, but I think you can hear a premonitory moment or two of the Siket Disc and especially What's the Use? in this version. Loving Cup is nearly obligatory here, but does not fail to appoint. One of these days Phish is gonna cover Yes into little pieces, but alas, we settle here for a tease before the Guyute encore. Guyute has yet to really step outside itself and be taken for a long ride, but it's one of my favorite Phish compositional epics, and is nothing to sneeze at. You can whistle, though. Though I rate the next night at Hampton more highly, it's by a slim margin. Opening the show with 30 minutes of improvisation--and of such quality as this--is enough to merit 4 stars, to me, as long as the rest of the show is enjoyable, and this one delivers above and beyond. I'm going to say something controversial: I've always felt this show doesn't live up to the hype. And I certainly think it is the weakest of the three on the release. However, it's also Fall '97, so there really isn't that much to complain about. Maybe it's because I have no real connection to Emotional Rescue as a song. I don't mind it, and I have even, after quite a few listens, learned to appreciate it's really mellow jam, but in the end it really isn't that big of a deal to me. I also initially found the Ghost to be pretty underwhelming. It's by far the most mellow of this hallowed tour and, like Emotional Rescue, I have learned to appreciate it more with a few re-listens. Bag -> Slave is by far the best part of the show, IMO, but other than that, there isn't that much else to see. Split rages pretty hard, bul ultimately fails to reach somewhere that really grabbed me, PYITE is one of my favorite set-in-stone songs, so that was nice, and that's about it. This show is plenty of fun, but I don't feel it's a classic like the next two nights. A solid show throughout, punctuated by an explosive Split Open and Melt and an exploratory, shape-shifting AC/DC Bag.